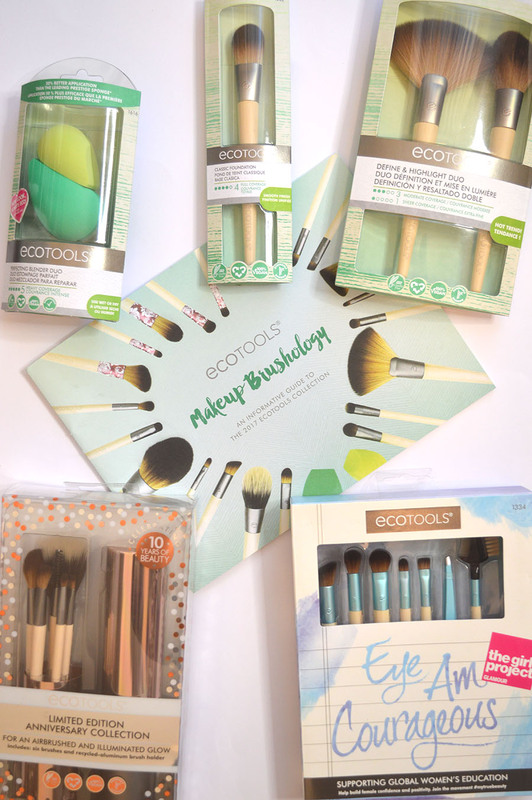 There is nothing more satisfying that new makeup brushes, and today I’m super excited to share my Eco Tools haul & review with you, as this brand seems to be standing out on the market over most recently… and it got me curious! It is so easy for YouTube/the blogging community to hype up products, so if you’re curious to see what these brushes/sponges are like, and my honest review, then this post is definitely for you! For years the foundation brushes in my collection become redundant, I never really understood their purpose. Recently, however, I’ve been really enjoying the tool to distribute foundation on my face evenly plus I find these the easiest brushes to bake with as you can really close to your eye and the brush itself doesn’t retain too much product. 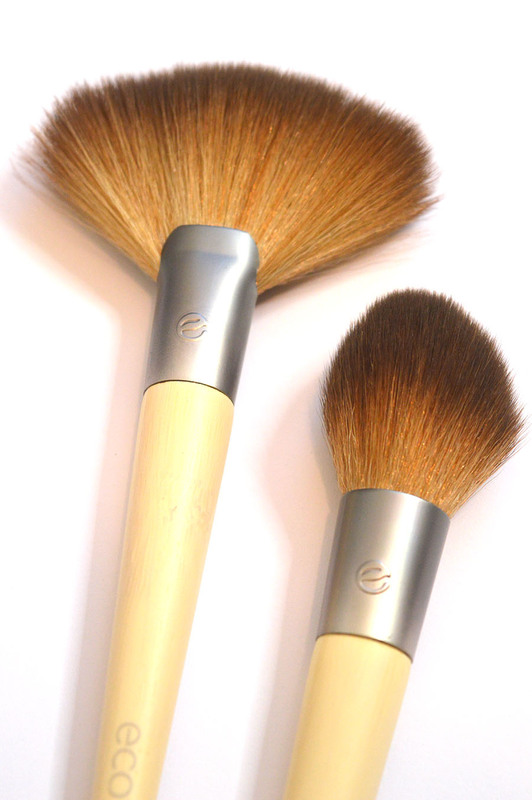 This Eco Tools one ticks all of the boxes: simplistic, does the job, feels very high quality, and feels super soft on the face. I can tell this is one I’m going to recommend to all of my friends and family! This limited edition collection supports Glamour’s The Girl Project – a foundation that helps women’s education around the globe to help those with limited access to schooling to experience quality education. That aside, this 8 piece collection, including 6 eye brushes, tweezers and a pocket-friendly mirror is a stand out to this whole haul. The brushes are all entitled: shape, prep, shade, blur, accent, line, polish and shine – working together to create any eye look, and remind me of the high quality feel of Zoeva brushes. I’ve been testing these brushes for a few weeks now, and I’ve had to wash them numerous times as they’ve been my go-to, they don’t feel at all scratchy, and I don’t get any fall out of hairs when I wash them. I’d recommend you go and purchase from their website here, as not only do you get a set of bloody amazing brushes, you’re also supporting such an amazing charity. If the rose gold holder this set comes with doesn’t have you falling in love at first sight, I’m not sure what will? 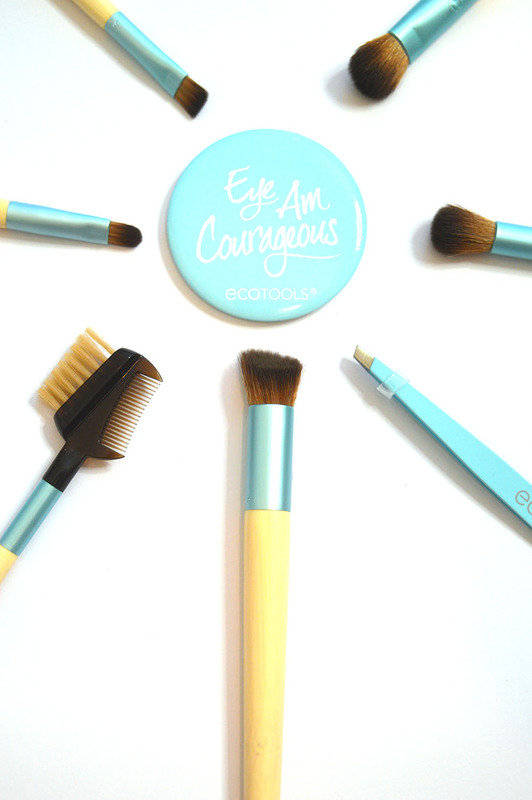 This 5 piece set is again, a limited edition collection to celebrate 10 years of Eco Tools! There are two brushes here in this collection that I’d recommend everyone to add to their makeup brush collection. 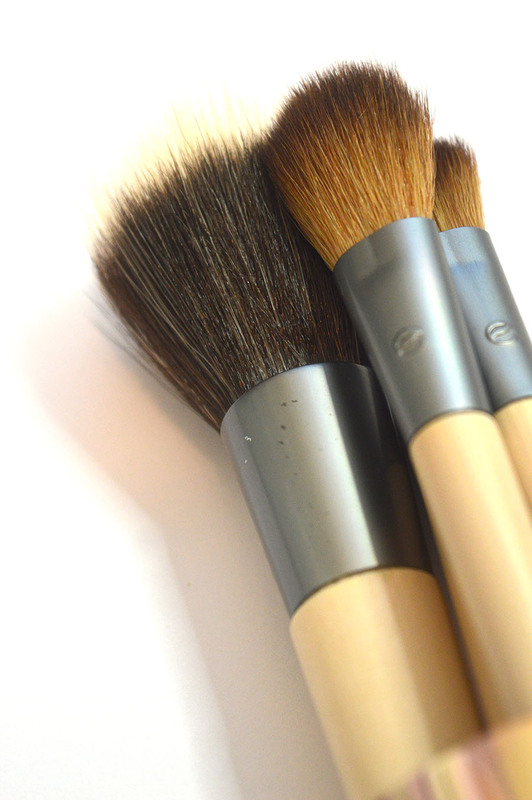 Firstly, the Even brush, the largest stippling brush you see in the image below has changed the way I apply bronzer; it helps it to look airbrushed into the skin, and honestly look so natural, and it’s all down to the fine bristles of the dup-fibre bristles that help to penetrate product gently into the skin for that ‘melted’ look. Additionally, the Highlight brush, the one on top of the image below, has helped pack on highlight to the top of my cheeks for an intense finish. The rest of the brushes are again, fantastic in quality, and perfect for both those just getting into makeup as well as professional kits. I swear that it’s my destiny to try every contour set any company brings out – they’re my obsession I swear. Firstly, look at this fabulous fan brush; this blows the other fan brushes’ in my collection out of the water as it’s incredibly dense but also easy to manage the amount of product you’re distributing. I love using this for more of an everyday highlight; a little more sheer than intense. I have been really enjoying it, and it’s so soft that when these arrived, I made Rich stroke it for like ten minutes. He loved it! The contour brush is also the perfect size to get into the hallows of your cheeks, helping to blend out any contour shade perfectly. Unless you’ve been living under a rock for the past few weeks, you’ll know that Eco Tools have come out with their own sponges to rival the Beauty Blender. Fun fact: these are made up of 70% plant based material, promoting Eco Tools’ ethos of being as kind to the environment as possible. These are £8.49 for a pack of two and you know that I love my beauty blender so I was sceptical. 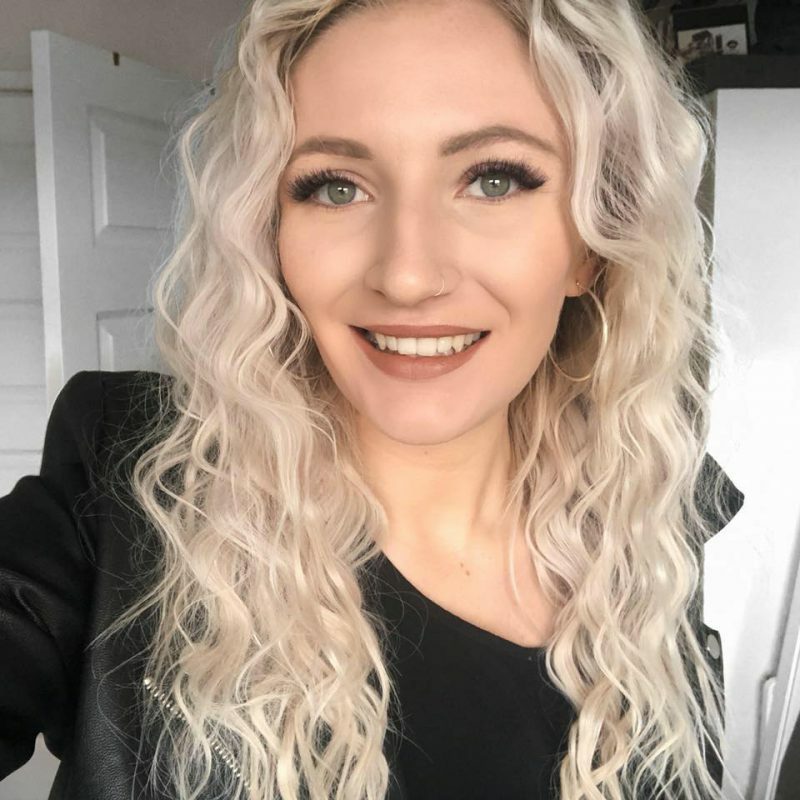 I use the larger (darker) sponges for applying my foundation all over the face, and generally any base products that go on a large area, and the smaller (lighter) sponges for smaller areas such as under the eyes, around my nose and such. Both sponges blend out products beautifully, and are very soft too. 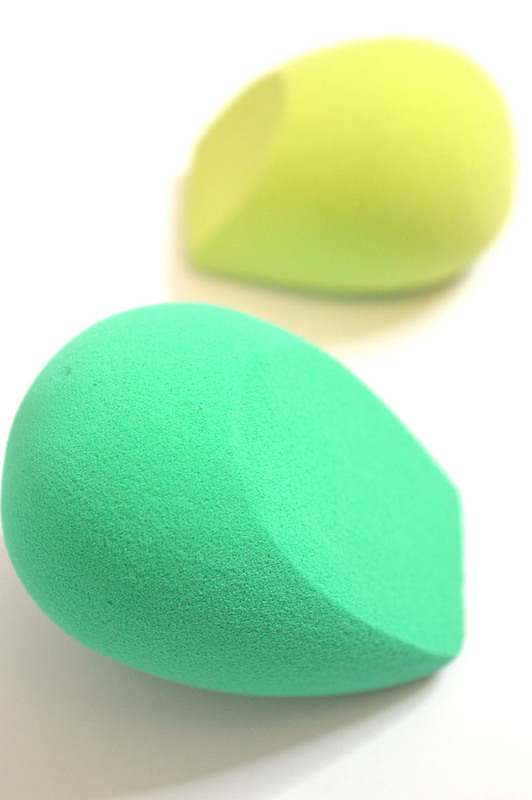 I didn’t think I’d love the flat edge design as much as I do, but I’d be lying if I didn’t say these are the best beauty blender dupe I’ve yet to try, and trust me, I’ve tried a lot of beauty sponges! So there we have my Eco Tools haul & review, and it’s safe to say I’ve come away feeling very impressed. The fact these sets are readily available in Superdrug as well as on the Eco Tools website (now with international shipping) makes these products extremely accessible and affordable for all. I can’t wait to keep using them and seeing how long the brushes and sponges last, but after a few weeks I have nothing but positive comments to make about their quality. Have you ever tried Eco Tools before? Which sets are you going to pick up? *these products were sent to me in exchange for an honest review, however all opinions are my own, read my disclaimer to find out more. Marble makeup brush holder for only £3! First Impressions – Mac X Ellie Goulding.